Hacker Herren: You think you know...but you have no idea! : Ofest training commences in Cincinnati! Ofest training commences in Cincinnati! It looked like a preview of Ofest '10 in Cincinnati last weekend. We joined together for some serious "training" under the guise of Jon Sanchez's birthday. Dan Sandlin "Blackout and ROY 08" and Mitch Weiss "Mitch-a-Palooza" drove all the way from Chicago to celebrate. Don Davis "Piva" and our Cincinnati Rookie Jason Goldberg aka "Goldie" were in attendance. The ladies dressed in Dirndls. 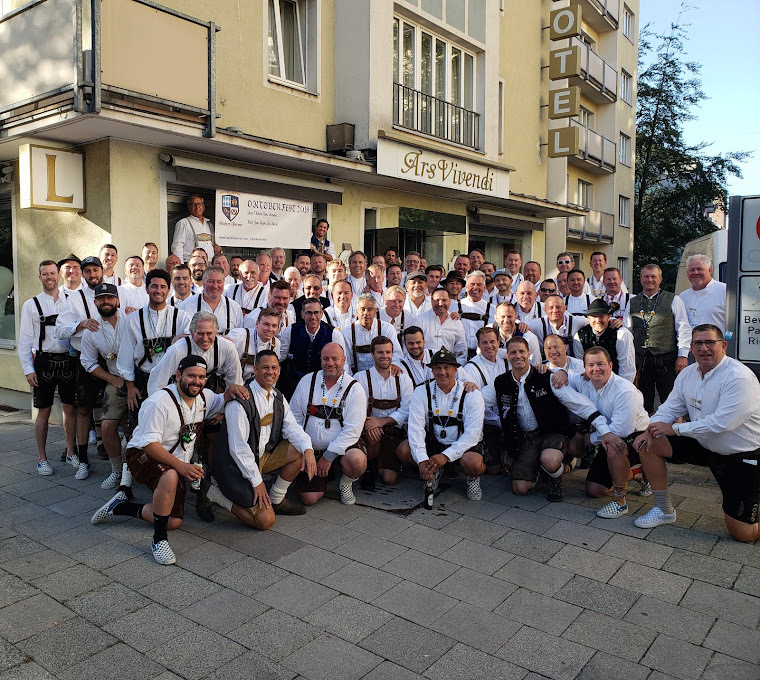 The men in Hosen. We all jumped in a limo and ROCKED the HofBrau Haus in Cincinnati. I think we might have pulled 2 more rookies for Ofest 2011. The Midwest is gearing up for another great Oktoberfest in Munich. We can't wait to see all of you again.....in the Himmel der Bayern! Train Hard.